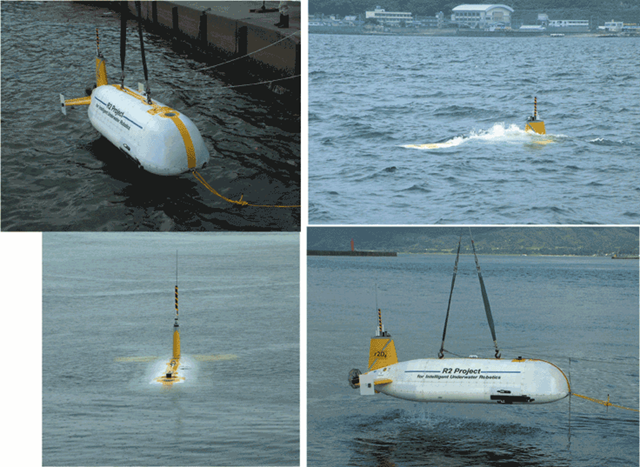 The Underwater Technology Research Center, of the Institute of Industrial Science , University of Tokyo is playing an important role in development of Robots for Marine Applications. Underwater Technology Research Center was inaugurated in 1999, where autonomous underwater robots have been studied and developed, aiming at creating new underwater technology. 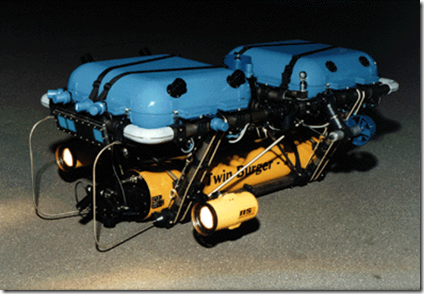 An autonomous underwater robot is a dream vehicle to observe and understand the unknown areas of underwater world. 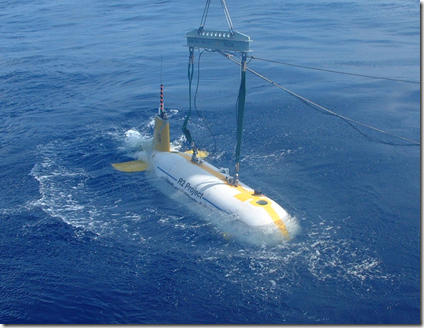 Access to ocean resources and utilisation is possible only if we have innovative technology including autonomous underwater vehicles to exploit them. At present Remotely Operating Vehicles (ROV) are widely in use where unmanned ROVs are operated by human operators through cable connection. But AUVs are intelligent and autonomous without any cable connection with parent ship. 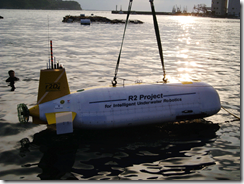 A Project to develop and deploy the new intelligent AUV r2D4 was started in 2001. r2D4 was constructed in July 2003, then deployed off Sado Island and at Kuroshima Knoll in the same year. After successful Dives at NW1 Rota 1 underwater volcano of Mariana trough in 2004, r2D4 was surveyed at Myojin-sho Submarine Crater in 2005, and found hydrothermal vents by mounted in-situ Mn ion measurement System and captured acoustic images of volcanic cone by an interferometry Sonar. 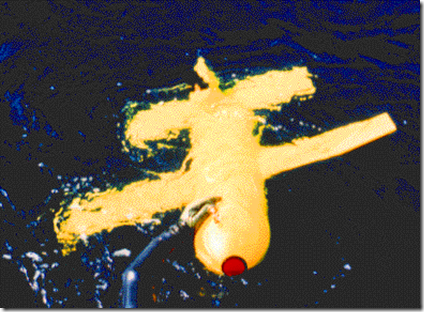 The new method of on-site INS position update system is also developed for further intelligent performances. 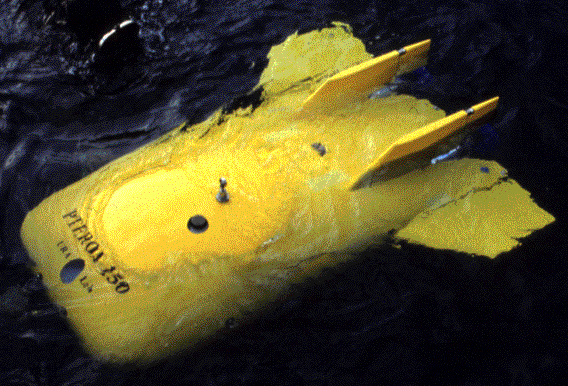 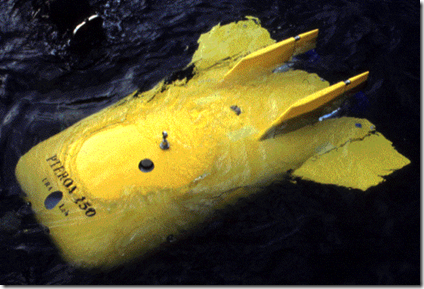 Though the main purpose of development is the survey of undersea hydrothermal vent, deployment of r2D4 is expected to enable several undersea missions such as seeking for lost articles in undersea, surveillance of undersea volcanoes, watching of underwater species, cooperative survey with undersea station and etc., because it has realized the handy system architecture with small size. Due to its compactness, r2D4 does not require the large size support vessel. 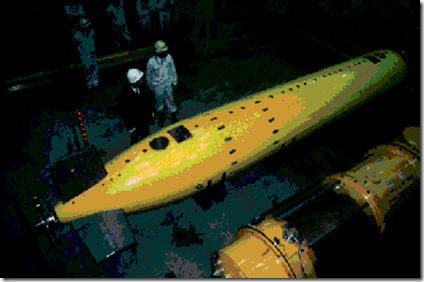 And since its operation can be completed fully autonomously, neither does it require operational experts. 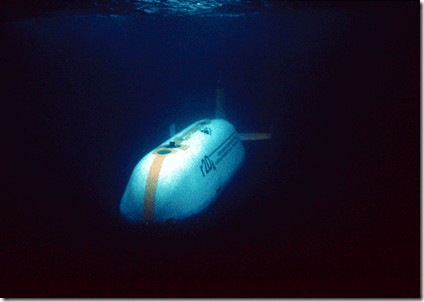 Flexible and dynamically adaptive path planning ability for the observation: If the vehicle finds out a suspicious place or an object in underwater space, it can re-generate the target path dynamically in order to make this observation.